Risk is an uncertain event or condition that, if occurs, has an effect on at least one project objective. For example, when you deploy a crane for lifting in a construction project it involves a risk that can lead to the toppling of crane. Here, toppling of crane is an uncertain event that may or may not happen. If it happens, it may lead to injury to workers, loss of lives, damage to properties, damage to the reputation of the company, loss of money in restoration and so on. Another example: you decide to cross the road when the red man is on (pedestrians are prohibited). By doing this, you are facing a risk of being hit by an approaching vehicle. As you can see, you also have a chance of crossing the road without any accident. So, the risk does not always happen. That's why it is an uncertain event. From the above examples, it should be clear what a risk means. How does it affect a project? Risk exists the moment a project is conceived. If you have the idea that risks only appear during execution, please change your mind. 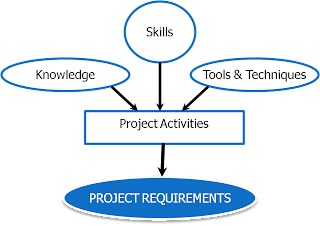 You have to start looking for the risks from the commencement of the project. Please take note that project risk is always in the future. 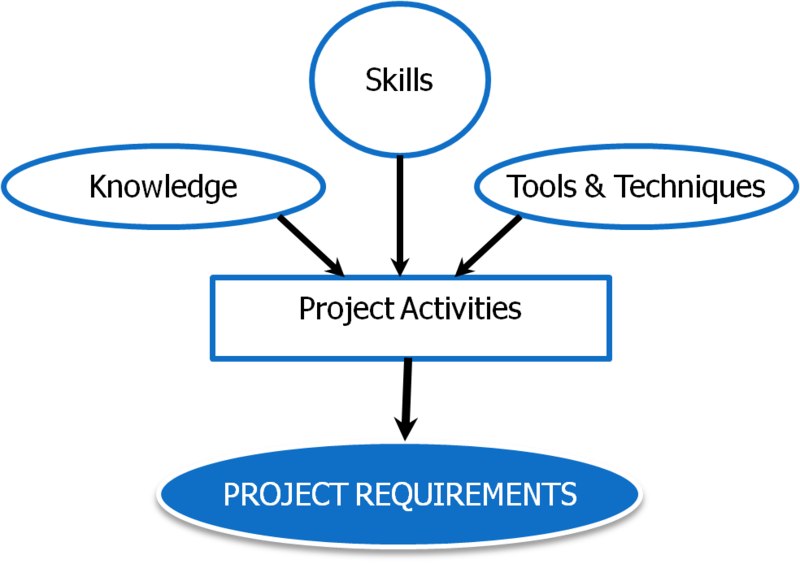 If a project risk has occurred, then it will be called as an ISSUE. Most of us look at risks as negative and feel that they are always dangerous to the project. It is not true. 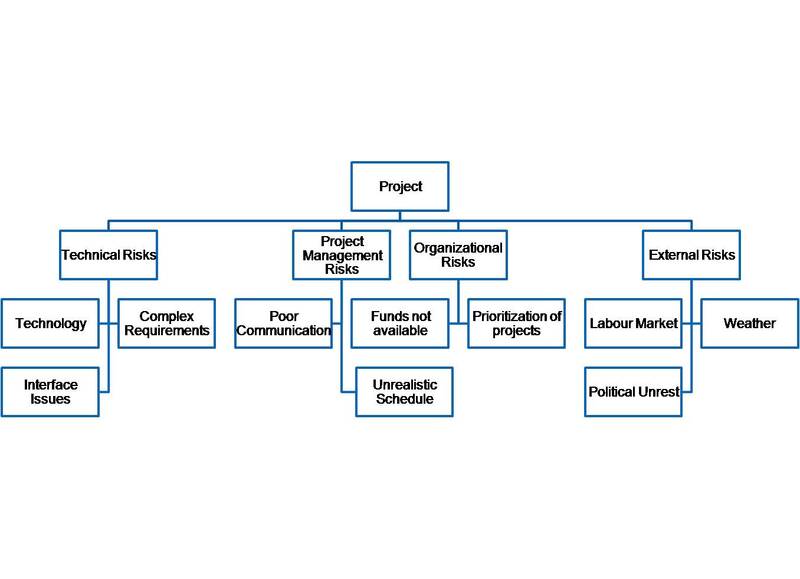 Risks that have an adverse impact on the project are known as THREATS. And not all risks are negative; some events or conditions can help the project; we call them OPPORTUNITIES. Abraham Maslow proposed a theory in psychology, which is popularly known as "Maslow's Hierarchy of Needs". One of the many interesting things Maslow noticed was that some needs take precedence over others. He laid out five broader layers of needs: the physiological needs, the needs for safety and security, the needs for love and belonging, the needs for esteem, and the need to actualize the self, in that order. Maslow's hierarchy of needs is often portrayed in the shape of a pyramid, with the largest and most fundamental levels of needs at the bottom, and the need for self-actualization at the top. Maslow calls the bottom four levels as deficit needs, or D-needs. He has called the top layer as being needs or B-needs. Physiological needs are obvious; they are the literal requirements for human survival. If these requirements are not met, people will not be interested in any higher order needs like social needs or esteem needs. When the physiological needs are largely taken care of, the second layer of needs (Safety Needs) comes into play. You will become increasingly interested in finding safe circumstances, stability, protection; the individual's safety needs take precedence and dominate behaviour. After physiological and safety needs are fulfilled, the third layer of human needs are social needs and involve feelings of belongingness. The individual begins to feel the need for friends, family, relationships and a sense of community. Next, we begin to look for self-esteem. Esteem presents the normal human desire to be accepted and valued by others. 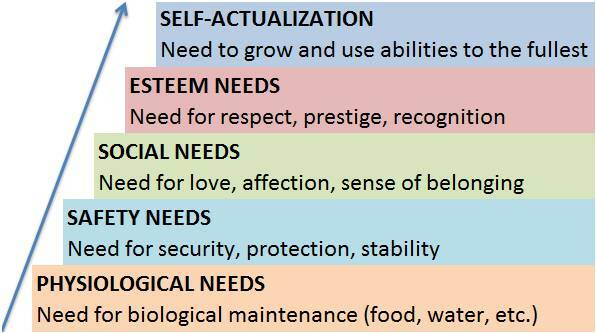 The last level of need is Self-actualization. This level of need pertains to what a person's full potential is and realizing that potential. As a project manager, it is important to understand Maslow's hierarchy of needs. 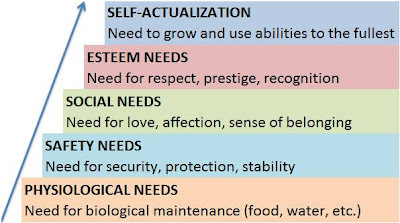 Maslow's theory suggests that the most basic level of needs must be met before the individual will strongly desire the secondary or higher level needs. This concept is important in managing and developing human resources in an organization.